When designers line up models before a runway show, there is a swirl of chaos that revolves around creating a perfect look, head to toe. Not only do the actual clothes have to be perfect, but ensuring that hair, makeup and nails are all cohesive to the collection can be essential to the success of a show. 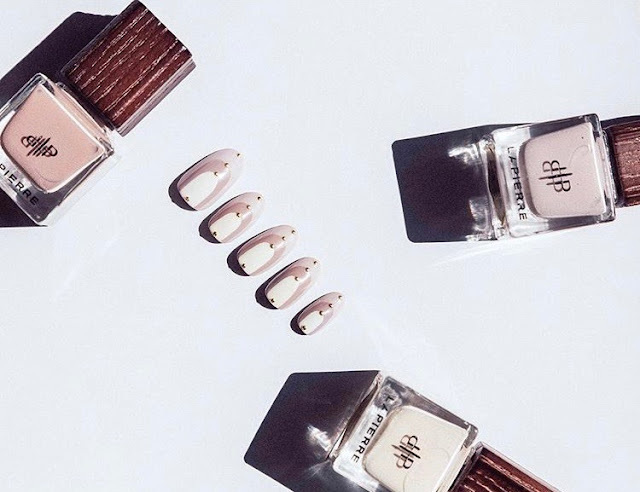 One brand that was instrumental in creating collection cohesion at NYFW this season was vegan nail polish brand, LaPierre Cosmetics. Founded in 2013 by New Orleans native Brandi Blocker, this "5 Free" brand (free of five toxic chemicals used in conventional nail polish) was the official nail sponsor for Style 360 NYFW and created nail couture for every designer in their lineup. Blocker's idea for creating LaPierre was one fueled not only by creativity but by a meaning close to her heart as well. 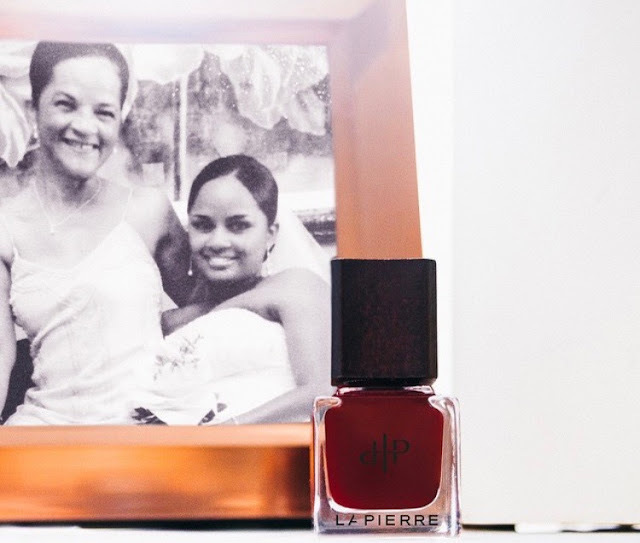 "LaPierre Cosmetics was inspired by my mother, Jacquelyn Marie LaPierre. She was a woman who embodied elegance and class, who also loved to polish and take care of her nails. For years, she created many fond memories with me over a bottle of nail polish," shared Blocker. "In 2013, she was diagnosed with lung cancer and was limited to the brands of nail polish she could use." Blocker created not only a brand of polish her mother could use but a legacy as well. LaPierre lost her battle with lung cancer on January 1, 2014. In her memory, LaPierre Cosmetics supports the LIVESTRONG Foundation, committing to help empower people in the cancer community address unmet needs. In loving memory, LaPierre's first lacquer was named "Jacquelyn" after Blocker's mother in her favorite color, red. "My favorite part of launching LaPierre was receiving my mom's seal of approval. She loved the idea and even wore the colors from our first two collections. Although she passed away before the official lacquer launch, she was tickled to see the idea morph into a reality." Since launching, LaPierre was asked by LIVESTRONG to be an official sponsor in 2015 and collaborated with fashion designer Michael Kuluva to create a signature nail lacquer in 2016. Other designers LaPierre has worked with include Rosario Dawson and Jessie James Decker, to name a few. As for the future, Blocker has her eyes set on a bright and meaningful path for her brand. "One of my goals for LaPierre is to become a major sponsor for several nonprofit organizations to serve as a mediator for the beauty industry. Polishing my mom's nails seemed like a simple task, but it made her smile. She focused on her mani and for one minute, that allowed her to escape the reality of her health condition. I want to have that impact on everyone I encounter and work with," she said. Building a solid career in the beauty industry, potentially adding new products to LaPierre and continuing to pursue a passion inspired by her mother are all on Blocker's to do list. With the quality, design, and personality of her product setting her brand apart from others, it is only a matter of time before she checks all those boxes of her list.